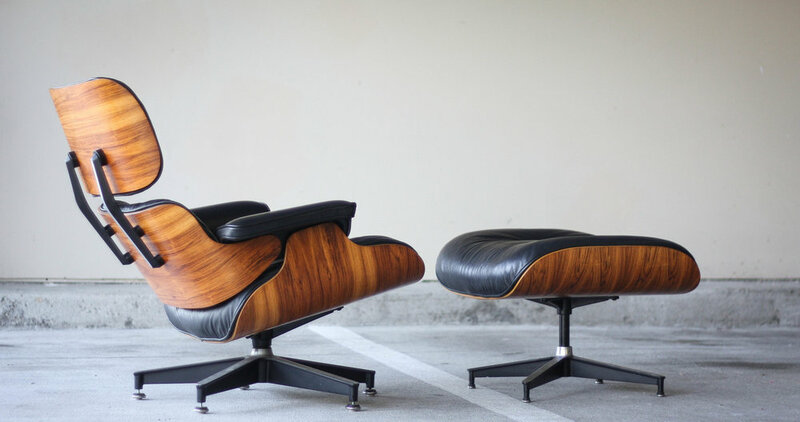 We probably don't need to say much as the Eames 670 Chair and 671 Ottoman are among the most iconic furniture designs in history. 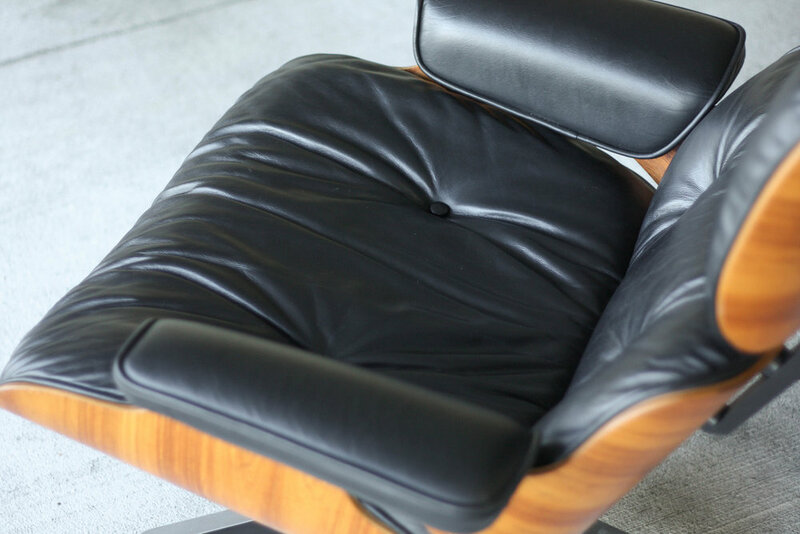 The black leather is soft, supple, and a nice contrast to the wood tones. As is the case with any vintage piece, there will be imperfections to the upholstery and/or frame. But hey, you probably have a few bumps and bruises yourself. 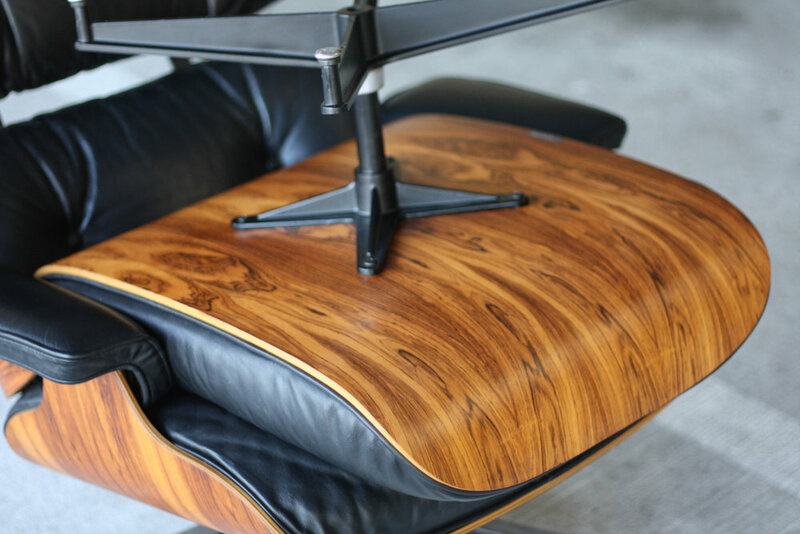 The photos do the talking, and they are screaming this chair/ottoman are in beautiful shape and show wonderfully. Zoom in if you need to to see every nook and cranny. 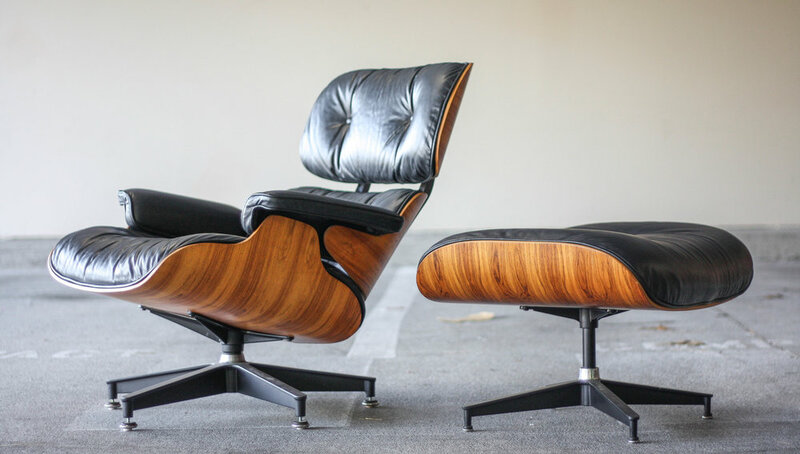 And as if you didn't already know, this chair has not been produced in rosewood since the late 70's, so this specific set will only become more rare and desired as time goes on.